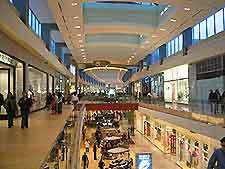 Uptown is the principal shopping area in Houston, although you will find diverse retail options throughout the city. These range from mega shopping malls and upmarket, fashionable boutiques to bargain centers and stylish districts in Houston's charming and historic areas. Most of the top malls and large stores in downtown and uptown Houston open from 10:00 to 21:00 and stay open throughout the day for lunch. Smaller, less prominent stores in other districts may open slightly earlier, but normally close about 17:00 or 18:00 and may also close for lunch. 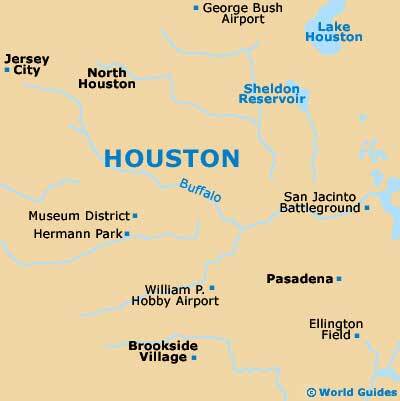 There are literally hundreds of stores in each of the numerous popular malls of Houston, as well as many European style shopping centers. Located between Rusk Street, Dallas Street, Dowling Street and Chartreuse, Chinatown covers a four-block area and is loaded with specialty stores containing nifty items from Asia, including quality furniture products and numerous food and medicine shops. Foley's is the city's oldest department store, occupying a whole block downtown and covering five storeys. Foley's is known for its pricey clothing, perfumes and endless shopping options, and is somewhat of a local institution. The Galleria is a massive mall along Westheimer and Post Oak streets with renowned designer outlets such as Gucci, Armani and Dolce and Gabbana, as well as large department stores such as Lord and Taylor, Saks Fifth Avenue and Neiman Marcus. Visitors to the Galleria will find some 320 stores in total, as well as an ice rink. The huge Memorial City Mall has some well-known stores under its roof including new Foley's, Lord & Taylor, Target Greatland and Dillard's stores as well as other offerings like Gadzooks, Mervyn's and Sears. Located near Rice University, Rice Village is a popular shopping center and one of Houston's oldest, with some unique outlets and much loved brand name stores. Popular boutiques here include Guatemala, J. Silver, Z. Bead, Gap, Express and Banana Republic. Rice Village also boasts some quality Thai restaurants and bars and clubs. Stelzig is the place to go for high quality apparel such as saddles, handmade boots, buckles and clothing, although you won't find many bargains here. This European style shopping center is lavish in design and contains some top quality outlets, boutiques, restaurants and spa services. Big names at Uptown Park include Merrill and Watson, BB1 Classic and Todd's Place; while dining options include the likes of Starbucks, Café Express, McCormick and Schmick's, and sushi at the Japanese style Uptown Sushi.